Lava tubes, underground caves created by volcanic activity, could provide protected habitats large enough to house streets on Mars or even towns on the moon, according to research presented at the European Planetary Science Congress (EPSC) 2017 in Riga. A further study shows how the next generation of lunar orbiters will be able to use radar to locate these structures under the moon's surface. Lava tubes can form in two ways: over-crusted tubes form when low-viscosity lava flows fairly close to the surface, developing a hard crust that thickens to create a roof above the moving lava stream. When the eruptions end, the conduit is drained leaving a tunnel a few metres beneath the surface. "Inflated' tubes are complex and deep structures that form when lava is injected into existing fissures between layers of rock or cavities from previous flows. The lava expands and leaves a huge network of connected galleries as it forces its way to the surface. Lava tubes are found in many volcanic areas on Earth, including Lanzarote, Hawaii, Iceland, North Queensland in Australia, Sicily and the Galapagos islands. Underground networks of tubes can reach up to 65 kilometres. Space missions have also observed chains of collapsed pits and "skylights" on the moon and Mars that have been interpreted as evidence of lava tubes. Recently the NASA GRAIL mission provided detailed gravity data for the moon that suggested the presence of enormous subsurface voids related to lava tubes below the lunar maria, plains of basalt formed in volcanic eruptions early in the moon's history. Now, researchers from the University of Padova and the University of Bologna in Italy have carried out the first systematic comparison of lava tube candidates on the Earth, moon and Mars, based on high-resolution Digital Terrain Models (DTM) created from data from spacecraft instrumentation. "The comparison of terrestrial, lunar and martian examples shows that, as you might expect, gravity has a big effect on the size of lava tubes. On Earth, they can be up to thirty metres across. In the lower gravity environment of Mars, we see evidence for lava tubes that are 250 metres in width. On the moon, these tunnels could be a kilometre or more across and many hundreds of kilometres in length," says Dr Riccardo Pozzobon, of the University of Padova. "These results have important implications for habitability and human exploration of the moon but also for the search of extraterrestrial life on Mars. 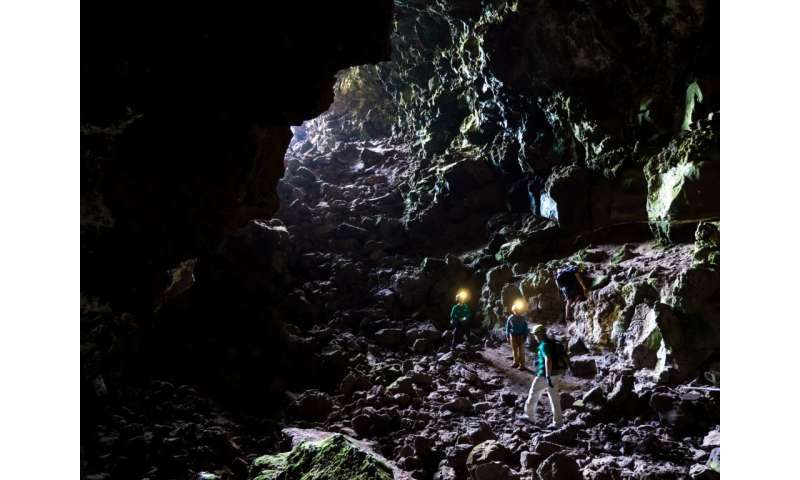 Lava tubes are environments shielded from cosmic radiation and protected from micrometeorites flux, potentially providing safe habitats for future human missions. They are also, potentially, large enough for quite significant human settlements – you could fit most of the historic city centre of Riga into a lunar lava tube." The work by Pozzobon and colleagues is already being used in the European Space Agency's astronaut training programme. The teams lead a planetary geology training course called PANGAEA for the European Space Agency's astronauts and engineers. 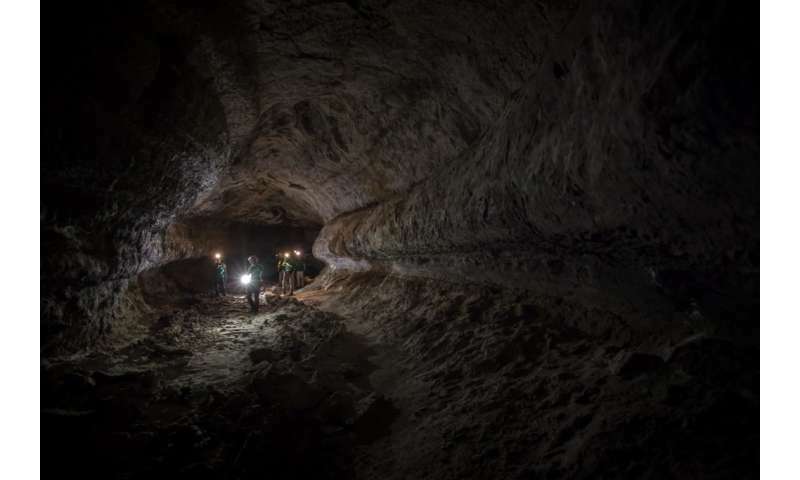 The PANGAEA project has included a field trip and a test campaign in lava tubes in the Canary Island to familiarise the astronauts with geological research they could carry out during future missions to the moon or Mars, as well as to test technical and operational systems. In particular, PANGAEA has focused on using laser technologies to characterise the Corona lava tube, an 8-kilometre long tunnel on Lanzarote. However, analysis of lava tubes with DEMs requires that a collapse or a puncture from a meteorite reveals the presence of the hidden tunnel. Conventional remote sensing instruments cannot detect and characterise the lava tubes, as they cannot acquire measurements beneath the surface. In a separate talk at EPSC, Leonardo Carrer and colleagues of the University of Trento presented a concept for a radar system specifically designed to detect lava tubes on the moon from orbit. 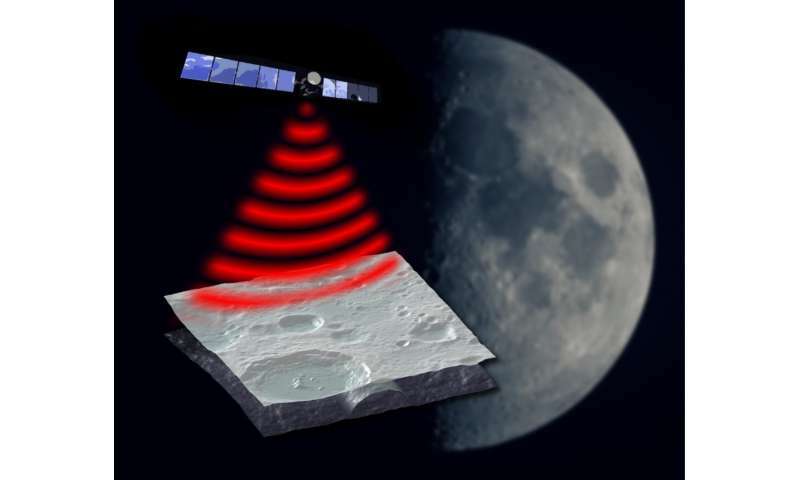 The radar probes beneath the lunar surface with low frequency electromagnetic waves and measures the reflected signals. 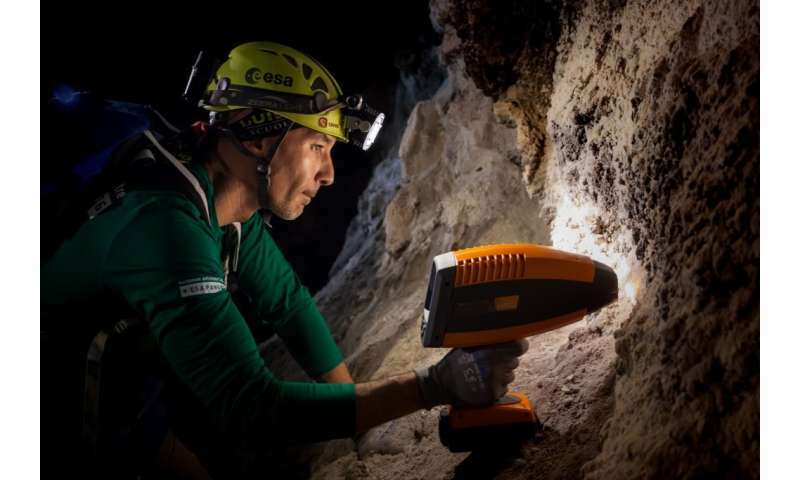 This radar instrument could determine accurately the physical composition, size and shape of the caves and obtain a global map of their location. "The studies we have developed show that a multi- frequency sounding system is the best option for detecting lava tubes of very different dimensions. The electromagnetic simulations show that lava tubes have unique electromagnetic signatures, which can be detected from orbit irrespective of their orientation to the radar movement direction. Therefore, a mission carrying this instrument would enable a crucial step towards finding safe habitats on the moon for human colonisation," says Carrer. Not only habitation but as reservoirs for water and gases. "Living in an underground city on the Moon, Holly and Jeff's hobby is flying with strap-on wings in a great cavern, made possible because the gravity field is one sixth the strength of Earth's and the air pressure in the cavern is kept high enough." Maybe lava tubes will be the new anchor in the next century, on Mars and the Moon, for humanity just as rivers and coastal lines for humans on Earth right now. Yah some people suffer under the profound delusion that because something has occurred to them, it could never have occurred to anyone else. This is always good for a laugh. Is it bad to laugh at the handicapped? Nah. I wonder if Elon Musk or NASA or any other major player has really thought through both the immediate medical and long-term genetic radiation damage that plant and animal tissue will suffer on Mars. There's no magnetic field and there never will be. The ceaseless hazard of ionizing radiation will I believe result in shortened lifespans for most if not all adult colonists, not to mention the miscarriages and congenital defects that will almost certainly occur simply due to being conceived and carried in an environment of gravity and the complex of background fields not evolved for. As described for previous ages on Earth, life on Mars may very well be nasty, brutish and short. Guess you missed the whole thing about living inside these tubes? I guess you didn't read what I wrote? Or do you think no pregnancies will occur and no work ever need be done on the surface, with everyone always living like troglodytes only more so. I think you're just trying to excuse the fact that you're not very familiar with common knowledge, especially here on a science site. People already live like troglodytes. Next time you're walking through your local mall try to picture it beneath the Martian regolith. Re surface work, more and more of it will be done by robots. Certainly not by pregnant women.